Since most homeowners do not physically see their sewer lines, they do not pay this item much attention. However, when issues come up, they become very prevalent throughout your home. 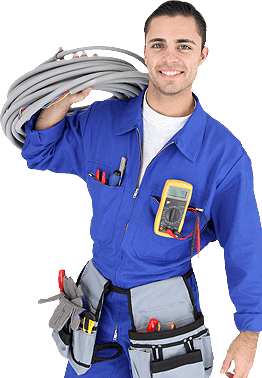 If you notice any of the following, you need prompt sewer line repair before more serious complications come up. Your drains should ordinarily flow just fine. When it becomes backed up, water may flow down much slower or not at all. Sometimes this is simply the result of a clog in that individual fixture. However, if multiple drains throughout your home are flowing slowly, then the sewer line might be the problem. Most sewer lines are buried underneath the property. Most of the time, they are directly beneath the yard. You need to pay attention to any unexplained dampness when you walk around outside. If there is no reason for your yard to be wet, then the sewer line may be leaking. When you flush your toilet, water should always be refilled to about the same place. If you notice that it refills at varying levels, then something is wrong. You need to resolve this quickly before your toilet overflows entirely. Inform a professional plumber of any of these symptoms around your house, and he or she will inspect your sewer line. For more details, contact Keefe Plumbing Company, Inc. at 423-622-3178. Keefe Plumbing has a deep history serving the Chattanooga area since 1950. Continuing the legacy of three generations, Keefe Plumbing strives to provide superior plumbing services to cater to any of your needs. Powered by Keefe Plumbing Co.